Bath Labour Party have claimed that 'Labour could win in Bath without tactical voting'. Local Green campaigners have looked into the story and found that it is the result of a flawed survey commissioned by the local Labour Party. 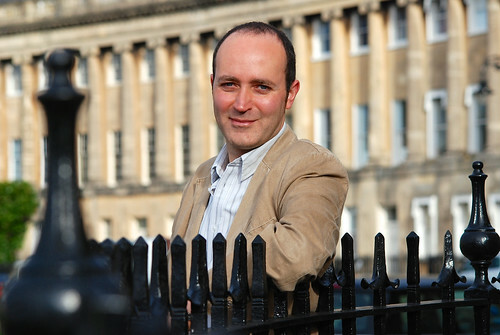 Dom Tristram, the Green Party candidate for Bath, said "It is deeply disappointing that the local Labour Party are continuing with old fashioned political spin. It is yet another example that their 'new kind of politics' is nothing of the sort." He continued, "Just yesterday their only councillor in Bath was accusing the local Lib Dems of 'scare tactic leaflets with dodgy bar charts' and asking for a 'fair fight on the issues'. It's a shame to see Labour themselves are not immune from the same sort of political campaigning." The survey, paid for by Labour and performed by Survation, didn't give the Green Party as an option for answering any questions. The question that was the basis for Labour's press release asked voters who they would vote for if the Conservatives, Labour and Lib Dems all stood an equal chance of winning, excluding the Greens. Dom Tristram responded "This was a deliberate attempt to exclude the Greens, as well as other parties as it would have been easier to ask 'if all parties stood an equal chance of winning'. The fact is that in the last actual proportional elections in Bath, the European Election, the Green Party easily beat Labour. These facts obviously don't suit the Labour Party's local spin doctors'." "Labour oppose a fair voting system because they do very well from safe seats, low turnouts, disenfranchisement, and power swinging every few years between themselves and the Tories. This seems to be a damage limitation exercise in Bath as nationally they lose thousands of supporters disappointed by their policy of a hard Brexit, their continual opposition to much-needed electoral reform, and dogmatic tribalism that would rather see a Tory government in power than work with other parties."